Forward to 4B on Ductal Carcinoma In-Situ (DCIS). Back to 3D gynecomastia. A consequence of the mammographic breast screening program is the early detection of breast cancer and also the detection of atypical, pre-malignant or ‘predictive’ breast lesions. A diagnosis of ‘atypical hyperplasia’ or of ‘in-situ carcinoma’ will be very worrying for any woman. However, it is important to understand the meaning of these terms. In addition, it may be helpful to understand what happens after a diagnosis of atypical hyperplasia or ‘in-situ carcinoma. 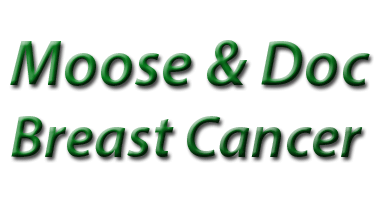 The diagnosis of these conditions allows the patient to seek advice from their family physician, breast physician or to seek counselling about risk reduction and screening. In 2012, the World Health Organization (WHO) sought the advice of pathologists, clinicians and oncologists worldwide to produce the 2012 revised WHO Classification of Breast Tumors (Section 5). Atypical hyperplasia, in-situ carcinoma, as well as some breast abnormalities that have prognostic significance, are in the new WHO categories. These other groups include certain types of columnar cell lesions and certain types of papillary lesion. Atypical hyperplasia of the breast is not a pre-malignant condition, in the way that cervical intra-epithelial neoplasia (CIN) is for cervical cancer. In the breast, atypical epithelial hyperplasia is a ‘risk’ marker; breast carcinoma may subsequently arise at a site away from the area of atypia, or even in the contralateral breast. Proliferative epithelial lesions of the breast ducts or lobules that have cellular atypia raise the risk for subsequent breast cancer to 3.5 to 5 times greater than normal. For women who have a family history of breast cancer, the presence of atypical epithelial hyperplasia raises the risk even further. Basically, if you have atypical hyperplasia, you just need to keep a close eye on your self and attend regular screening. It’s not too bad! For most women with a diagnosis of atypical epithelial hyperplasia, close monitoring is necessary. Some can even take anti-estrogen medications, such as Tamoxifen, to prevent breast cancer. Core needle biopsy (CNB) diagnoses the majority of lesions containing atypical epithelial hyperplasia. A wire localization excisional breast biopsy is typically necessary to exclude the possibility of an associated worse lesion. Analysis of larger samples of breast may result in an upgrade of the diagnosis to ductal carcinoma in situ (DCIS) or invasive breast cancer in 10 to 20% of cases. But if a diagnosis of atypical epithelial hyperplasia is the outcome of an excisional biopsy, no additional surgery is indicated. Follow-up in women with atypical epithelial hyperplasia focuses on risk reduction. In a report from the Nurses’ Health Study in 2007, 56 % of cancers that developed in women with atypical epithelial hyperplasia occurred in the same breast; the cumulative incidence of breast cancer over 30 years approached 35 % (Collins et al., 2007). Among pre-menopausal women, the risk appeared to be greater for those with atypical lobular hyperplasia (ALH) than those with atypical ductal hyperplasia (ADH). It must be worrying to have any changes on mammogram screening though. Yes, but worrying never works and once you know you have a slightly higher risk you can take action. Actually I find worrying does work because everything I’ve worried about has never happened. Because approximately 40% of cancers that develop in women with atypical epithelial hyperplasia occur in the contralateral breast, these lesions can be regarded as markers of a generalized (bilateral) increase in breast cancer risk. Of all the proliferative breast conditions, atypical ductal hyperplasia (ADH) has the highest probability for a subsequent risk of invasive cancer; the relative risk is between 3.0 and 5.0 (Fitzgibbons, 1998). The histological features of Atypcial Ductal Hyperplasia are the same as those of low-grade DCIS, but ADH is limited in its size. Two criteria distinguish Atypical Ductal Hyperplasia from low-grade DCIS: the presence of uniform involvement of not more than two breast duct spaces or a lesion size of less than 2 mm. In small core needle biopsies (CNB) of the breast, Pathologists often use the term ‘atypical intraductal proliferative lesion.’ This term is used to prompt a surgical excision of the breast abnormality and thus allow for a definitive diagnosis to be made in the further excision specimen. ADH and DCIS are closely related. In many cases ADH is a smaller version of DCIS. Both indicate very early (contained) cell changes with excellent prognosis. Figure 4.1. Atypical Ductal Hyperplasia (ADH). Photomicrograph of the histology from a core needle biopsy (CNB). pleomorphic lobular carcinoma in-situ (PLCIS). I’m still a bit confused about this atypical lobular hyper.. what’s it’s name? Atypical Hyperplasia means there are more cells than you would expect to see and atypia means they look different from normal cells but don’t have all the features of tumor cells. Although this classification is recommended for Pathologists, the use of ALH, LCIS and PLCIS are still used in Pathology reports, so each of these conditions will be described. In terms of treatment, prognosis and subsequent risk for future invasive breast cancer, the distinction between the different types of lobular neoplasia may be less important. However, when a patient receives a pathology report, it is likely that the distinction between atypical lobular hyperplasia, lobular carcinoma in-situ (LCIS) and pleomorphic lobular carcinoma in-situ (PLCIS) will be made. Atypical lobular hyperplasia (ALH) involves individual lobular units. In 2003, Page and colleagues reported that invasive lobular carcinoma (ILC) was approximately three times more likely to occur in the same breast after atypical lobular carcinoma (ALH) was diagnosed, compared with the contralateral breast (Page et al., 2003). I’m Bored but then again I’m bored of being bored because being bored is boring. Figure 4.2. Atypical Lobular Hyperplasia (ALH). Somebody actually complimented me on my driving today. They left a little note on the windscreen, it said ‘Parking Fine.’ So that was nice. Forward to 4B on DCIS. Back to 3D gynecomastia.